I would like to read Not a drill by Lee Child. This Jack Reacher short story, ebook is also available in the new Reacher short story collection, No Middle Name. Not a Drill features former Military Policeman turned drifter/investigator Jack reacher. This time Reacher is hitching a ride with some Canadians hoping to do some hiking through the last unspoilt wilderness in Maine. After they part ways Reacher checks into the small town of Naismith which has nothing going for it – apart from being the start of this wilderness trail through Maine’s ancient forests. However one day the trail is suddenly closed by county police for no reason. Then the Military Police show up. No reason is given. Rumours start – is there something in the woods that no one must see? That no one must even know about? When Jack Reacher drifts into town his curiosity is piqued and he decides to investigate the Do Not Enter tape strung between the trees and soon finds himself in the middle of a whole heap of trouble again. High Heat is another Lee Child Ebook short story which is available in the collection No Middle Name. This novella again features former Military Policeman turned drifter/investigator Jack Reacher, who no matter how he tries can’t seem to stay away from trouble for long. High Heat is the prequel novella to the novel Never Go Back. It takes place during the sweltering heat in July 1977 and features a young Jack Reacher who is in New York City hoping to visit his brother Joe at West Point in the midst of a savage heat wave. Meanwhile A mad gunman known as the Son of Sam is on the loose in New York and a brutal murder spree is sweeping the city. Along the way Reacher meets a woman with a problem and he agrees to help her. Then to make matters worse the Power Grid fails plunging the whole city into even more chaos, so the criminal element and looters start to run riot taking full advantage of the situation and Reacher soon finds himself in the thick of it. Small Wars is another exciting short story e-book thriller featuring former Military Policeman turned Drifter Jack Reacher, who is asked to investigate the suspicious death of A young lieutenant Colonel named Caroline Crawford as she travelled through Georgia. However Sebastian Rudd makes some formidable enemies when he chooses to represent Thomas Cardell, who At 33 years old, and with no money and a son to care for, Is forced to become a drugs mule. He discovers that Cardell was shot at by an undercover cop, and he shot back in self-defence.However the cop is killed now it’s Cardell’s word against the other police officer on the scene, and proving Cardell innocent will be far from simple. Rudd learns that sometimes in order to get justice, you often have to manipulate the situation to your advantage. Partners also explains how he met and finally found someone he could trust to be his driver, bodyguard, assistant, law clerk, and partner for this controversial and dangerous work: Partner. The book explains why Partner is so loyal to him? How they meet? and gives further insight into Partner, who is a man of few words but turns out to be as good with a gun as he is with the law? His father hoped that the lead mines on the property could be commercially developed, as lead was an essential component of bullets. This could provide his son with a profitable occupation. Audubon met his neighbor William Bakewell, the owner of the nearby estate, whose daughter Lucy he married five years later. The two young people shared many common interests, and early on began to spend time together, exploring the natural world around them. Audubon then set about studying American birds with the goal of illustrating his findings in a more realistic manner than most artists did then. He began conducting the first known bird-banding on the continent: he tied yarn to the legs of Eastern Phoebes and determined that they returned to the same nesting spots year after year. He also began drawing and painting birds, and recording their behavior. Audubon continued his bird studies and created his own nature museum, perhaps inspired by the great museum of natural history created by Charles Willson Peale in Philadelphia. Peale’s bird exhibits were considered scientifically advanced. Audubon’s room was brimming with birds’ eggs, stuffed raccoons and opossums, fish, snakes, and other creatures. He had become proficient at specimen preparation and taxidermy. With his father’s approval, Audubon sold part of his farm, including the house and mine, as they deemed the mining venture too risky. He retained some land for investment, then went to New York to learn the import-export trade, hoping to find a business to support his marriage to Lucy. The protective Mr. Bakewell wanted to see the young Frenchman established in a solid career before releasing his daughter to him. On October 12, 1820, Audubon went to Mississippi, Alabama, and Florida in search of ornithological specimens. He traveled with George Lehman, a professional Swiss landscape artist. The following summer, he moved upriver to the Oakley Plantation in the Felicianas, where he taught drawing to Eliza Pirrie, the young daughter of the owners. After a short stay in Cincinnati to work as a naturalist and taxidermist at a museum, Audubon traveled south on the Mississippi. By this time He was committed to find and paint all the birds of North America for eventual publication. His goal was to surpass the earlier ornithological work of poet-naturalist Alexander Wilson, whose work he used to guide him whenever he had access to a copy. Audubon called his future work “Birds of America”. He attempted to paint one page each day. Painting with newly discovered technique, he decided his earlier works were inferior and re-did them. He hired hunters to gather specimens for him. Audubon realized the ambitious project would take him away from his family for months at a time. In 1824 Audubon returned to Philadelphia to seek a publisher for his bird drawings. He was rebuffed by many publishers, although he did meet Thomas Sully, one of the most famous portrait painters of the time and a valuable ally, and had earned the enmity of some of the city’s leading scientists at the Academy of Natural Sciences. He took oil painting lessons from Sully and met Charles Bonaparte, who admired his work and recommended he go to Europe to have his bird drawings engraved. So in 1826 Audubon took his growing collection of work to England, taking a portfolio of over 300 drawings. With letters of introduction to prominent Englishmen, Audubon gained their quick attention.The British could not get enough of his images of backwoods America and its natural attractions. He met with great acceptance as he toured around England and Scotland, and was lionized as “the American woodsman.” He raised enough money to begin publishing his Birds of America. This monumental work consists of 435 hand-colored, life-size prints of 497 bird species, made from engraved copper plates of various sizes depending on the size of the image. They were printed on sheets measuring about 39 by 26 inches (660 mm). The work contains just over 700 North American bird species. The pages were organized for artistic effect and contrasting interest, as if the reader were taking a visual tour. The first and perhaps most famous plate was the Wild Turkey, which had been Benjamin Franklin’s candidate for the national bird. It lost to the Bald Eagle. Audubon also sold oil-painted copies of the drawings to make extra money and publicize the book. Audubon soon had many fans including King George IV was also a subscriber to his book. London’s Royal Society recognized his achievement by electing Audubon a fellow. He followed Benjamin Franklin, who was the first American fellow. While in Edinburgh to seek subscriptions for the book, Audubon gave a demonstration of his method of propping up birds with wire at professor Robert Jameson’s Wernerian Natural History Association. Student Charles Darwin was in the audience. Audubon also visited the dissecting theatre of the anatomist Robert Knox. Audubon was a hit in France as well, gaining the King and several of the nobility as subscribers. Audubon returned to America in 1829 to complete more drawings for his magnum opus. He also hunted animals and shipped the valued skins to British friends. He was reunited with his family. After settling business affairs, Lucy accompanied him back to England. Audubon is buried, close to the location of his home, in the graveyard at the Church of the Intercession in the Trinity Church Cemetery and Mausoleum at 155th Street and Broadway in Manhattan. There is an imposing monument in his honor at the cemetery, which is the center of the Heritage Rose District of NYC. Audubon’s final work was on mammals, the Viviparous Quadrupeds of North America, prepared in collaboration with his good friend Rev. John Bachman of Charleston, South Carolina. Bachman supplied much of the scientific text. The work was completed by Audubon’s sons and son-in-law and published posthumously. His son John did most of the drawings. Audubon’s influence on ornithology and natural history was far reaching. 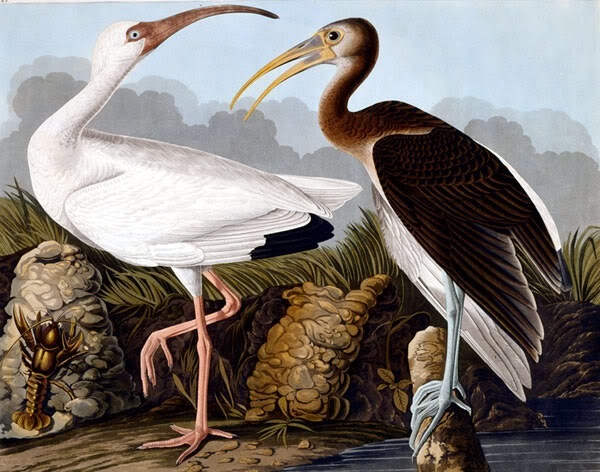 Nearly all later ornithological works were inspired by his artistry and high standards. Charles Darwin quoted Audubon three times in On the Origin of Species and also in later works. Audubon’s field notes were a significant contribution to the understanding of bird anatomy and behavior. Birds of America is still considered one of the greatest examples of book art. Audubon discovered 25 new species and 12 new subspecies. He was elected to the Royal Society of Edinburgh, the Linnaean Society, and the Royal Society in recognition of his extraordinary contributions to Natural history. Best known as the singer of the metal/ experimental rock band Faith No More, the American singer-songwriter, multi-instrumentalist, producer, and actor, Michael Allan “Mike” Patton was born January 27 in 1968. Known for his eclectic influences and experimental projects. Patton has also earned critical praise for his diverse vocalization. 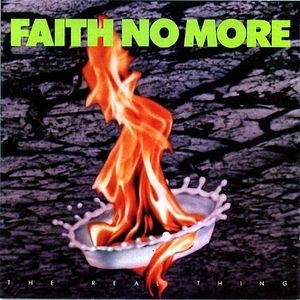 The Real thing was followed by The follow up album, Angel Dust, which though successful, could not match the commercial success of The Real Thing, & After three more studio albums (Angel Dust, King for a Day… Fool for a Lifetime, and Album of the Year) Faith No More officially disbanded in 1998. Patton also runs a record label named Ipecac Recordings, which He co-founded with Greg Werckman. Mike Patton has also sung for bands like Mr. Bungle (which preceded his involvement with FNM), Tomahawk, Fantômas, Lovage, The Dillinger Escape Plan and Peeping Tom, and also has many producer or co-producer credits with artists such as John Zorn, Sepultura, Melvins, Melt-Banana and Kool Keith. Happily In 2014 amid much speculation, Faith No More reunited with Mike Patton as lead singer and also released the album Sol Invictus which was seen by many as a return to form. Nick Mason the drummer from Progressive Rock band Pink Floyd was born 27 January 1944. Pink Floyd were founded in 1965 and originally consisted of students Roger Waters, Nick Mason, Richard Wright, and Syd Barrett. They first became popular playing in London’s underground music scene in the late 1960s. Under Barrett’s leadership they released two charting singles, “Arnold Layne” and “See Emily Play”, and a successful début album, The Piper at the Gates of Dawn .In 1968 Syd Barratt departed from the group due to his deteriorating mental health & Gilmour joined Pink Floyd as the fifth member several months prior to this. Following the loss of their principal songwriter, Pink Floyd bassist and vocalist Roger Waters became the band’s lyricist and conceptual leader, with Gilmour assuming lead guitar, taking on most of the band’s music composition, and sharing lead vocals. With this line-up Pink Floyd achieved worldwide critical and commercial success with their progressive and psychedelic rock music, which used philosophical lyrics, sonic experimentation, innovative album art, and elaborate live shows. 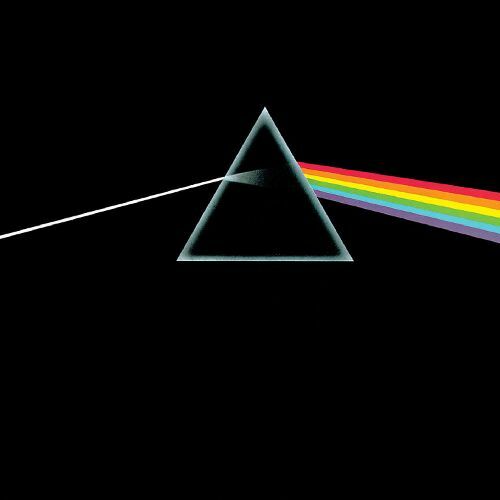 and release of many concept albums such as The Dark Side of the Moon, Wish You Were Here, Animals and The Wall. Pink Floyd ranked number 51 on Rolling Stone magazine’s list of “The 100 Greatest Artists of All Time”, with David Gilmour ranking 14th in the greatest guitarists list. Largely due to the success of their albums the band was ranked No. 3 in Colin Larkin’s the ‘Top 50 Artists Of All Time’. Numerous artists have been influenced by Pink Floyd’s work: David Bowie has called Syd Barrett a major inspiration, The Edge (U2) also bought his first delay pedal after hearing the opening to Animals; and the Pet Shop Boys paid homage to The Wall during a performance in Boston; Marillion guitarist Steve Rothery has also cited Wish You Were Here as a major inspiration; and many other bands, including the Foo Fighters, Dream Theater, My Chemical Romance, Porcupine Tree, The Mars Volta, The La’s, Queen, Oasis, Iron Maiden, Stone Temple Pilots, Coheed and Cambria, Tool, Queensryche, 30 Seconds to Mars, Scissor Sisters, Rush, Radiohead, Gorillaz, Mudvayne, Nine Inch Nails, Korn, Primus and the Smashing Pumpkins, have all been influenced by them. Pink Floyd have also won multiple awards including “Best Engineered Non-Classical Album” Grammy in 1980 for The Wall and BAFTAs award for ‘Best Original Song’ (awarded to Waters) and ‘Best Sound’ in 1982 for the The Wall film. A Grammy came to them in 1995 for “Rock Instrumental Performance” on “Marooned”. In 2008 Pink Floyd were awarded the Polar Music Prize for their contribution to contemporary music; Waters and Mason accepted the prize from King Carl XVI Gustaf of Sweden. They were inducted into the Rock and Roll Hall of Fame on 17 January 1996, the UK Music Hall of Fame on 16 November 2005 and the Hit Parade Hall of Fame in 2010, and were also inducted into the Rock and Roll Hall of Fame in 1996. They have continued to enjoy worldwide success and are one of the most commercially successful and influential rock music groups of all time. Since Pink Floyd split up David Gilmour has also relaesd many solo albums including “On an Island” and “Rattle that Lock” and Roger Waters has also released many solo albums too including “Amused to Death”, “Roger Waters The Wall” and “Is This the Life We Really Want?” Gilmour Wright and Mason also reunited to release the Pink Floyd album “Endless River”. Author, mathematician, Logician, Anglican Deacon and Photographer Lewis Carroll (Charles Dodgson) was born 27 January 1832, his most famous writings are Alice’s Adventures in Wonderland and its sequel Through the Looking-Glass, as well asthe poems “The Hunting of the Snark” and “Jabberwocky”, all examples of the genre of literary nonsense. He is noted for his facility at word play, logic, and fantasy, and there are societies worldwide dedicated to the enjoyment and promotion of his life and works. From a young age, Dodgson wrote poetry and short stories, contributing to the family magazine Mischmasch and various other magazines. Between 1854 and 1856, his work appeared in The Comic Times, The Train, the Whitby Gazette and the Oxford Critic. Most of this output was humorous, sometimes satirical, but his standards and ambitions were exacting. sometime after 1850, he wrote puppet plays for his siblings’ entertainment, including La Guida di Bragia. in 1856 he published A romantic poem called “Solitude” under the pseudonym “Lewis Carroll”. This was a play on his real name; Lewis was the anglicised form of Ludovicus, which was the Latin for Lutwidge, and Carroll an Irish surname similar to the Latin name Carolus, from which comes the name Charles. The transition went as follows: “Charles Lutwidge” translated into Latin as “Carolus Ludovicus”. This was then translated back into English as “Carroll Lewis” and then reversed to make “Lewis Carroll”. In, 1856, a new dean, Henry Liddell, arrived at Christ Church, bringing with him his young family, who figured largely in Dodgson’s life and, greatly influenced his writing career. Dodgson became close friends with Liddell’s wife, Lorina, and their children, particularly the three sisters: Lorina, Edith and Alice Liddell. He was for many years widely assumed to have derived his own “Alice” from Alice Liddell although Dodgson himself repeatedly denied this and frequently dedicated his works to girls of his acquaintance, adding their names in acrostic poems at the beginning of the text. Gertrude Chataway’s name appears in this form at the beginning of The Hunting of the Snark however it is not suggested that any of the characters are based on her. Carroll’s friendship with the Liddell family was an important part of his life in the late 1850s and he took the children on rowing trips accompanied by an adult friend.to nearby Nuneham Courtenay or Godstow. It was on one such expedition, on 4 July 1862, that Dodgson invented the outline for Alice in Wonderland after Alice Liddell persuaded him to write it down, Dodgson presented her with a handwritten, illustrated manuscript entitled Alice’s Adventures Under Ground in November 1864 Before this, the family of friend and mentor George MacDonald read Dodgson’s incomplete manuscript, and the enthusiasm of the MacDonald children encouraged Dodgson to seek publication. In 1863, he had taken the unfinished manuscript to Macmillan the publisher, who liked it immediately. After the possible alternative titles Alice Among the Fairies and Alice’s Golden Hour were rejected, the work was finally published as Alice’s Adventures in Wonderland in 1865 under the Lewis Carroll pen-name, which Dodgson had first used some nine years earlier. The illustrations this time were by Sir John Tenniel; Dodgson evidently thought that a published book would need the skills of a professional artist. The overwhelming commercial success of the first Alice book changed Dodgson’s life in many ways. The fame of his alter ego “Lewis Carroll” soon spread around the world. He was inundated with fan mail and Queen Victoria herself enjoyed Alice In Wonderland so much that she suggested he dedicate his next book to her, and was accordingly presented with his next work, a scholarly mathematical volume entitled An Elementary Treatise on Determinants. He also continued to work at Christ Church. In 1871, he published a sequel – Through the Looking-Glass and What Alice Found There. This was somewhat darker refelcting changes in Dodgson’s life. His father had recently died (1868). In 1876, Dodgson produced his last great work, The Hunting of the Snark, a fantastical “nonsense” poem, exploring the adventures of a bizarre crew of tradesmen, and one beaver, who set off to find a rare creature. The painter Dante Gabriel Rossetti reputedly became convinced the poem was about him. In 1895, Carroll published a two-volume tale of two fairy siblings which is set in two alternate worlds, one the fairytale kingdom of Elfland, the other a realm called Outland, which satirizes English society, and more specifically, the world of academia. In 1856, Dodgson took up photography, under the influence of his uncleSkeffington Lutwidge, and his Oxford friend Reginald Southey. He became a well-known gentleman-photographer and made many studies of men, women, male children, landscapes, nskeletons, dolls, dogs, statues, paintings, and trees. His pictures of children were taken with a parent in attendance and many of the pictures were taken in the Liddell garden, because natural sunlight was required for good exposures. He Photographed many famous people including John Everett Millais, Ellen Terry, Dante Gabriel Rossetti, Julia Margaret Cameron, Michael Faraday, Lord Salisbury, and Alfred, Lord Tennyson. Between 1856 and 1880 he completely mastered the medium, set up his own studio on the roof of Tom Quad, and created around 3,000 images. However Fewer than 1,000 have survived time and deliberate destruction. He reported that he stopped taking photographs because keeping his studio working was difficult and time consuming (he used the wet collodion process) whereas commercial photographers used the less time consuming dry-plate process. However He caused controversy with some of his more revealing photographs of Alice and Lorina Liddell (who were both Minors at the time) and the exact nature of his relationship with Alice Liddell has also been called into question. There is also a suggestion that his relationship with Lorina Liddell and a disagreement between himself and Liddell Snr over Politics may also have contributed to the abrupt breakdown in contact between himself and the Liddell Family and the sudden disappearance of many of his diaries and photographs during this time. Dodgson invented many things including the Wonderland Postage-Stamp Case in 1889 – a folder with twelve slots, two for penny stamps, and one each for the other current denominations to one shilling. The folder was then put into a slip case decorated with a picture of Alice on the front and the Cheshire Cat on the back. All could be conveniently carried in a pocket or purse. It also included a copy of Carroll’s lecture, Eight or Nine Wise Words About Letter-Writing. Another invention is a writing tablet called the nyctograph to enable note-taking in the dark if one wakes with an idea. He also divised a number of word games, including an early version of what today is known as Scrabble. He also popularised, the “doublet” a form of brain-teaser which involves changing one word into another by altering one letter at a time, each successive change always resulting in a genuine word. For instance, CAT is transformed into DOG by the following steps: CAT, COT, DOT, DOG. Other items include a rule for finding the day of the week for any date; a means for justifying right margins on a typewriter; a steering device for a velociam (a type of tricycle); new systems of parliamentary representation; better elimination rules for tennis tournaments; a new sort of postal money order; rules for reckoning postage; rules for a win in betting; rules for dividing a number by various divisors; a cardboard scale for the college common room which ensured the right amount of liqueur for the price paid; a double-sided adhesive strip for things like the fastening of envelopes or mounting things in books; a device for helping a bedridden invalid to read from a book placed sideways; and at least two ciphers for cryptography. He continued to teach at Christ Church until 1881, where he remained resident until his death. The two volumes of his last novel, Sylvie and Bruno, were published in 1889 and 1893, but the intricacy of this work was lost on contemporary readers; it achieved nothing like the success of the Alice books, with disappointing reviews and sales of only 13,000 copies. In 1867 Carroll travelled to Russia as an ecclesiastical together with the Reverend Henry Liddon. He recounts the travel in his “Russian Journal”. On his way to Russia and back he also saw different cities in Belgium, Germany, Poland, and France. He died on 14 January 1898 two weeks prior to his sixty-sixth birthday at his sisters’ home, “The Chestnuts” in Guildford, of pneumonia following influenza. He is buried in Guildford at the Mount Cemetery. International Holocaust Remembrance Day, is an international memorial day on 27 January which marks the Anniversary of the liberation of Auschwitz-Birkenau, the largest Nazi death camp, by Soviet troops on On 27 January 1945. It commemorates the victims of the Holocaust which resulted in the death of an estimated 6 million Jews, 1 million Gypsies, 250,000 mentally and physically disabled people, and 9,000 homosexual men by the Nazi regime and its collaborators. It was designated by the United Nations General Assembly resolution 60/7 on 1 November 2005 during the 42nd plenary session. The resolution came after a special session was held earlier that year on 24 January 2005 during which the United Nations General Assembly marked the 60th anniversary of the liberation of the Nazi concentration camps and the end of the Holocaust. Prior to the 60/7 resolution, there had been national days of commemoration, such as Germany’s Tag des Gedenkens an die Opfer des Nationalsozialismus (The Day of remembrance for the victims of National Socialism), established in a proclamation issued by Federal President Roman Herzog on 3 January 1996; and the Holocaust memorial day observed every 27 January since 2001 in the UK. Holocaust Memorial Day (27 January) is also a national commemoration day in the United Kingdom dedicated to the remembrance of those who suffered in The Holocaust, under Nazi Persecution, and in subsequent genocides in Cambodia, Rwanda, Bosnia and Darfur. It was first held in January 2001 and has been on the same date every year since. The date was also chosen for the International Holocaust Remembrance Day and some other national Holocaust Memorial Days. In addition to the national event, there are numerous smaller memorial events around the country organised by many different organisations, groups and individuals. Over 2,400 local commemorative activities took place in the UK for Holocaust Memorial Day 2014. The theme for Holocaust Memorial Day is ‘Keep the memory alive’.